Can an Android phone run without Google? 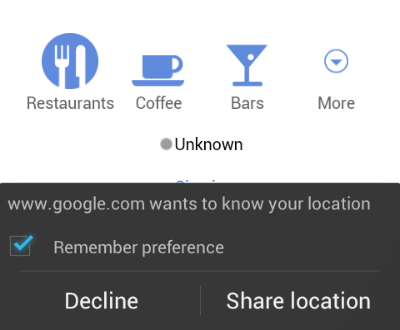 Does Android really allow for a smartphone experience where you don't share with Google? Say what you will about Google, which is moving toward a new model of privacy and coming under lots of scrutiny over their iPhone, but they offer at least a novel concept of freedom: a smartphone platform they built, but which doesn’t necessarily require their own apps to run. It’s not easy, and you might actually have to slightly endanger your phone to get there, but there exists an Android phone that doesn’t give Google personal data, ad revenue, or anything else. When you first turn on your phone, or after you perform a “factory reset” on it, you’ll be asked to sign in with a Google account. Don’t do it, and look for the “Skip” option. Your phone can run without a Google account, and you can add other accounts to fill out your contacts and calendar and the like--Microsoft Exchange, Facebook, Twitter, and more. Also skip the options to send feedback about your usage, back up your settings to Google, and so on. Skip just about everything. Root your phone and remove Google apps: If you truly wanted to wipe your slate clean of Google’s Gmail, Calendar, Maps, and other offerings, you’d need to give yourself deep access to the phone’s internals, referred to as “rooting.” The complexity of rooting varies phone to phone, but once it’s done, you can disable Google’s built-in apps, along with the stuff your carrier and manufacturer jammed on there. Or you can install an entirely new OS, like CyanogenMod, which won't install with Google Apps unless you want it to. Hide Google’s apps with an alternate launcher: The part of your phone that shows app icons, widgets, and contains your app list? That’s actually an app itself, and you can replace it. Two prime candidates are Go Launcher EX and LauncherPro--my preference is LauncherPro. Install either one, then tap your phone’s Home button, and you’ll see a choice of using either your default launcher or that app. 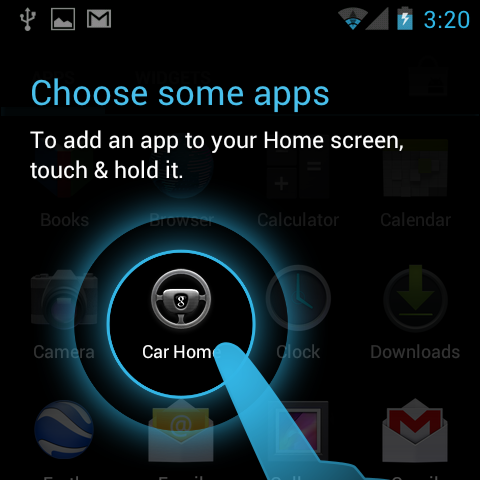 Both apps allow you to hide apps from the app tray, as well as change app icons to remove any Google-y stylings. Gmail -> Yahoo Mail (or IMAP email): It works just fine if you’ve got a Yahoo Mail account, and Yahoo’s web-based interface isn’t too bad, either. Otherwise, you can use the stock “Email” app, or something better like K-9 Mail to retrieve your Gmail or personal email through the IMAP protocol, and never see advertisements. Maps -> MapQuest: Mapquest is rather good, really, and it’s formed an interesting alliance with OpenStreetMap, which can offer deeper, community-provided results and directions. Plus it has voice-narrated turn-by-turn directions, and it also can cache the area around you for offline look-ups. Browser -> Firefox or Opera: If you’re a desktop user of either Opera or Firefox, you’ll find their mobile apps quite nice, and easy to sync up with. If not, install both, and see which one fits you best. Search -> Bing: Sadly, you can’t replace the default search engine assigned to your Android phone, even with rooting (unless I’ve missed something). But you can choose to replace the Google search app icon with Bing, replace the voice search default with Bing, and take the extra half-step to tap the “Search with Bing” option whenever you tap the search button or click the search widget. Calendar -> Exchange setup (or something web-based): This is actually the stumper. Most of the calendar apps in the Android Market are just re-styled interfaces for Google’s own Calendar service. So you can either hook up to your work Exchange server, or perhaps find a good web-based calendar service you can bookmark on your home screen. YouTube -> Web-based YouTube: I like Vimeo, but many videos are only on YouTube. So, using your alternate browser, and without signing in, simply head to YouTube’s mobile web version and view your videos there. The web version, actually, is often better, and certainly better looking. In the end, you’ll probably decide that you like the convenience of Google’s offerings on your Android phone. That is, after all, their mission and purpose. But you don’t have to give Google every bit of data about your mobile life, so spreading it around a few different apps can lend some piece of mind about your digital life, if that’s a concern for you. Android is, if not entirely, dictionary-strict “open,” at least rather permissive.